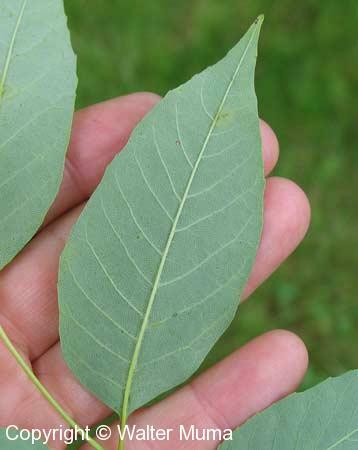 Distinctive features: Tree; Compound opposite leaves, no teeth or a few rounded teeth. Patterned ridged bark (see photo). 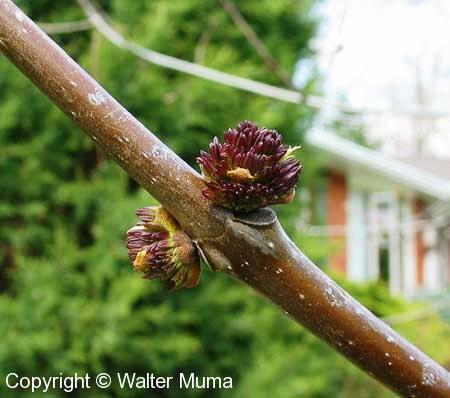 Buds inserted into leaf scar. 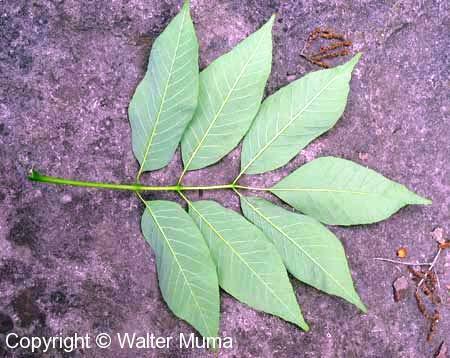 Leaves: Opposite/Whorled, Compound, Entire; Opposite. Compound. Habitat: Fields and Open Areas; Woods, fields. Notes: There's a lot of photos, because Ash are a bit hard to tell apart. 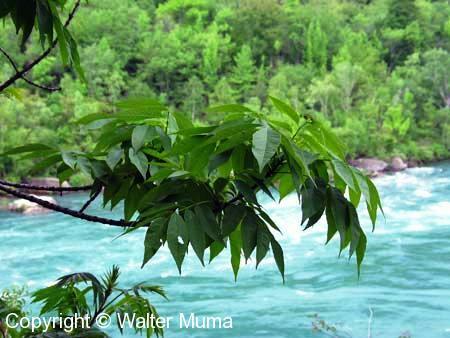 Photographs: 116 photographs available, of which 18 are featured on this page. SCROLL DOWN FOR PHOTOGRAPHS. This photo shows the distinctive form of Ash (in general) in the winter. Notice how the twigs are stout and obviously opposite. 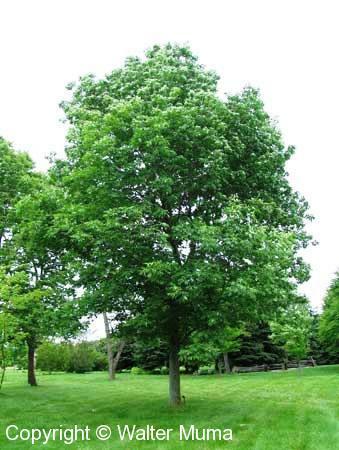 This is a White Ash. The entire compound leaf, upper side. Under side of the entire compound leaf. Upper side of a single leaflet - very smooth. Underside of a single leaflet; also smooth. The main leaf stalk is segmented. In the fall it falls apart in sections. A Winter bud. This illustrates the "white is tight" rule for White Ash. The end side buds are close up against the terminal bud. Flowers just starting to bloom (near the end of April). And another view, almost a week later. Leaves just starting to grow at the beginning of May. Typical White Ash bark. Note the pattern of the ridges. This is distinctive. Young bark just starting to develop this pattern. Even younger bark has only a faint hint of the patterning that it will take on later.